HANDI-SEAL® polyurethane foam sealants are moisture cured sealants, designed to completely fill and seal small gaps, cracks and voids up to about 3 inches. These sealants have excellent adhesion and expansion characteristics ensuring a complete and permanent air tight seal. 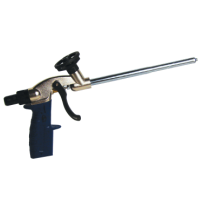 Gun foam products result in less waste compared to straw foams. 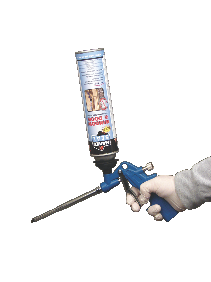 This window and door sealant is dispensed through a contractor grade gun for control and ease of use. Handi-Seal® Window & Door Sealant is designed with a low expansion pressure so as not to bow windows and doors. Handi-Seal® assists in preventing air infiltration and helps to reduce heating and cooling costs. In addition this sealant helps to prevent moisture infiltration, therefore helping to reduce the possibility of water damage and mold problems. Handi-SealÂ® door and window sealing foam is designed utilizing a non-flammable blowing agent to assist in the safety of the end user. 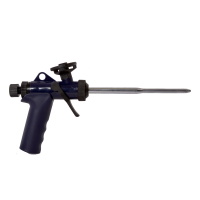 Handi-Seal® spray foam, sealants, and adhesives contain no Formaldehyde, CFCs or HCFCs. 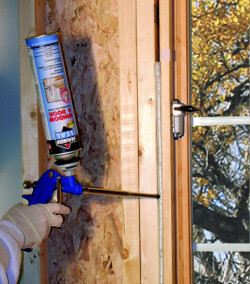 This door and window sealing foam contains no VOCs.